The American Zionist Movement is pleased to update for 2018 -5779 and share again the “American Zionist Shabbat” initiative which was launched last year. This project continues during the period from Parshiot Lech Lecha (October 20th/11 Cheshvan) to Vayishlach (November 24th/16 Kislev), 2018-5779. Below you will see resources for discussing Zionism in synagogues, schools and the community during this period, including links to materials easily available on the internet. 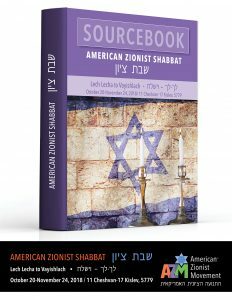 In May 2018 AZM added a Jerusalem Shabbat Supplement in partnership with the World Zionist Organization and this addition is included here as well at the end of the Source Book. As we have seen Zionism attacked from various groups and people in America, it is important that Zionists of all backgrounds come together in our united support for the State of Israel as she enters her 70th year. 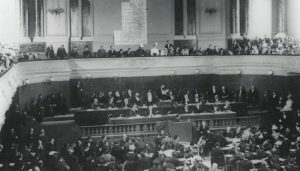 That is what happened when Herzl first brought together a broad coalition of Zionists 120 years ago to build the movement which would lead to the establishment of a Jewish state in our ancestral land. Today Zionism is very much alive as we connect Jews worldwide with our homeland and as we continue to support the vibrant democracy, culture and contributions of Israel and the Jewish people. Please share, forward and implement your own thoughts in celebration of Zionism and the America Zionist Shabbat.  The American Zionist Movement wishes to thank the leaders of each of the AZM organizations who have contributed materials, ideas and thoughts in developing the American Zionist Shabbat Sourcebook. The book of Genesis tells the story of a couple becoming a people. After a narrative of primeval history – Creation, expulsion from the Garden, flood and Babel – the tale begins with Abram and Sarai and concludes with B’nai Yisrael. How a married couple not merely initiates a multigenerational family, but rather creates an ‘Am, is a saga in the formation of an identity. We see this development in both who is included and who drops out. The story is told over four generations, concluding with the twelve sons of Jacob who will become the tribes of Israel. Although we must bracket out the one daughter, Dina, whose fate in Scripture remains unknown, all of Jacob’s progeny participate in the covenant God first formed with Abraham. The same cannot be said for the previous generations. Ishmael and then Esau are left out of this particular covenant. Why is that the case, and what may we learn about the formation of the Jewish people from their exclusion? Ishmael is an elusive and enigmatic character. He is introduced in utero, the child that will be born to Hagar the Egyptian, and yet will be given a name by his father Abraham that connects him to God. He is observed by Sarah, after the birth of Isaac, “playing.” (It’s meaning here is deeply ambiguous) When banished to the wilderness, God hears his weeping, sustains him and his mother with water, so that he will grow to be a hunter, and after taking an Egyptian wife, fulfills his destiny to be the progenitor of a nation of twelve princes. With a brief mention in the story of Joseph being borne to Egypt, the Ishmaelites disappear from Scripture altogether. There is one other indirect reference. After the ‘akeidah, Isaac goes to Be’er Lahai Ro’I, the spring associated with Hagar and her unborn child. There is nothing in the scriptural references to Ishmael that suggest he should not be a recipient of the covenant God forged with his father, except the identity of his mother. Ishmael is not the child of Sarah, but rather of her handmaiden. Subsequent midrash will interpret Ishmael’s “playing” in a negative light, and also intimate that his status as an outdoorsman makes him unsuitable. These are rationales. In Scripture, Ishmael’s disqualification is his mother. Esau, on the other hand, is every much a child of Isaac and Rebecca as is Jacob. The text is much clearer that his absence from the covenant is due to his own deficiencies. In my own reading, Esau failed not only in the spurning of a birthright, but was also incapable of personal growth. Isaac preferred Esau as the oldest child, but also appreciated the “softer” qualities of Jacob. He longed for each of his children to develop that which other possessed. Jacob did so: The voice is the voice of Jacob, but the hands are the hands of Esau. Esau did not. In the next generation, all of the children carry on the covenant and become the people Israel. This is so even for the four sons – Dan, Naftali, Gad and Asher – who were born to handmaidens, as was Ishmael! All twelve nevertheless evidenced emotional and spiritual maturing as did Jacob, particular in the ten sons’ confrontation with Joseph over Benjamin. Indeed, the Genesis saga of the formation of a people is sealed in the fifth generation, when Manashe and Ephraim silently accept the cross-hand blessing of their grandfather, Jacob. The foreignness of their mother and the bitter fraternal enmity of the previous two generations are dispelled. What are we to learn about identity formation from this saga? First, that it begins with blood. The covenant is passed on by both Abraham and Sarah, together part of the same extended family that made the journey from Ur to Haran to the Land. Hagar was not on that journey. Indeed, blood remains significant enough that Isaac’s wife must be from the same clan. It begins with blood, but it does not end there. Esau, whose bloodlines are identical to Jacob’s, is nonetheless not found worthy. 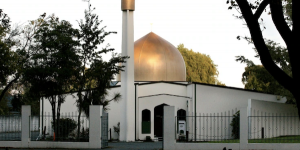 The shortcoming is therefore not external – a matter of heritage – but rather internal – a matter of character. He could not rise spiritually to the level of blessing. Jacob’s children, irrespective of their parents, could. None of them were saints; they showed signs of arrogance, jealousy and a willingness to dissemble. They also proved in moments of crisis that they could transcend their flaws and display genuine courage. The mostly dysfunctional family of Jacob is transformed into the people Israel. The idea of identity formation that unfolds in the Genesis saga can be regarded in both historical and psychological terms. A clan grows and spreads. Over time the familial connections become less significant than other factors that hold the people together. An individual, as well, understands oneself initially in relation to those who are closest, most often parents and siblings. Then, in the process of maturing, the sense of identity through family is overtaken by new means of self-recognition. Blood, however, never disappears. Whether we employ the historical or the psychological model, we learn from Scripture, that our Jewish identity is not reducible to just one thing. To be a Jew is not merely familial, or historical, or national, or cultural, or confessional. I would also suggest that being Jewish cannot eliminate or fully ignore any of these factors either. Yes, we all privilege some elements of our Jewish identity as more important, even vital, to us. All the others remain. The vitality of our Jewish identity is found in the willingness to embrace all the elements: family (mishpacha), people (‘am), covenanted nation (goy kadosh), obligation (mitzvah), and Land (Ha’Aretz). Is there a hierarchy to these values? Only, I would suggest, in our own choices of which touches us more deeply. A verse in Leviticus (26:42), nonetheless, captures it all. In a promise of restoration after exile (the curses enumerated in parashat Behukotai), God says: Then I will remember My covenant with Jacob, as well as my covenant with Isaac, and also my covenant with Abraham, and I will remember the land. The covenant – that which delimits and defines our Jewishness – is not one thing. It is at least three things; and the Lad! To be a Jew can be nothing less. A final thought: Each morning in traditional liturgy, this verse from Leviticus (Chap. 26) is recited: I will remember My covenant with Jacob, I will remember my covenant also with Isaac, and also My covenant with Abraham, and I will remember the Land. The order, I believe, is important. It is chronologically reversed, and thus reminds us that before there is Israel, there is the Land itself. The American Zionist Movement (AZM) is joining with our colleagues in the Department for Diaspora Activities (DDA) of the World Zionist Organization (WZO) to mark ירושלים שבת – “Jerusalem Shabbat” on May 11-12, 2018 (27 Iyar 5778), Parashat Behar-Bechukotai (as read in the Torah in the Diaspora). This is the day before we celebrate Yom Yerushalayim (on Sunday May 13 – 28 Iyar) and two days before we mark the 70th “secular anniversary” of Israel’s founding on Monday, May 14.